substituting pro plastic hardware and slightly less leather coverage. 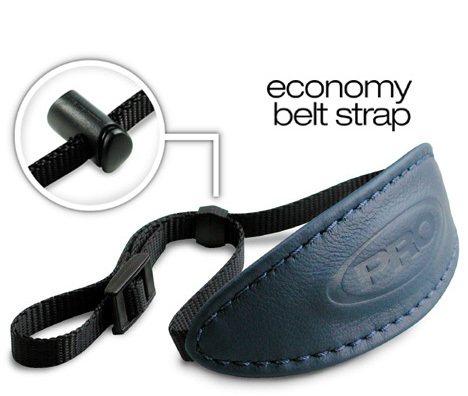 slide buckle (see above) which adjusts to fit snug against the users wrist. Ideal for all larger cameras that can accept a 3/8 inch strap. Now available in several great leather colors.